Mitt Romney and Rudy Giuliani are the leading contenders for Trump's pick for Secretary of State, but each have their distractors. A name that keeps popping up as also under consideration is that of Tennessee's Senator Bob Corker, Chairman of the Senate Foreign Relations Committee. When he is mentioned, movement conservatives go ballistic. Richard Viguerie's Conservative HQ posted an article, Mr. Trump: Don’t Make Traitor Bob Corker Secretary Of State. 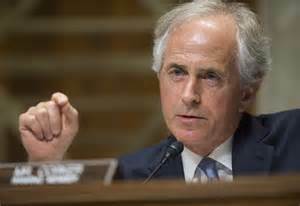 Bombastic radio talk show host Mark Levin's Conservative Review posted a piece called, 4 reasons Bob Corker would be the absolute WORST pick for Secretary of State. Red State writes, Donald Trump, If You Care About America Don’t Give This Clown A Job. The large and loud conservative echo chamber has repeated these post and variations on the theme. The primary criticism of Corker in all this is his role in the Iran deal. The narrative is that Corker helped Obama push the deal through the Senate. I followed the issue at the time and watched a lot of Congressional hearings on CSPAN and have researched it since and that is just not the way I see it. Corker's effort to stop the deal failed, but he made a valiant effort to stop it. I fear there are many on the right who value impotent symbolic grandstanding rather than efforts at real governance. While Corker's effort failed he did at least provide an opportunity for Congress to kill the deal if opponents would have had sufficient votes. Here is what happened. Starting in March 2013 the Obama administration started secret negotiations with Iran to curtail Iran's nuclear ambition and to reward Iran by the lifting of sanctions and freeing of frozen assets. Negotiating in secret is not unusual. As negotiations progressed and allies at the top level of government had to be informed, Congress became aware. At the same time that the Obama administration was engaged in negotiating lifting of sanctions, Congress had been deliberating on newer tougher sanctions. Congress made noise but had no means to stop the negotiations. By the spring of 2015, Iran and the Obama administration were about to sign off on the details of the deal. It paved the way for Iran to become a nuclear power with little meaningful oversight to prevent that from happening and released $150 billion in frozen assets which Iran, one of the worlds leading state sponsors of terrorism, could be free to use however it wanted. What Obama accomplished was kicking the can down the road so he would not have to deal with the challenge. In the process he made Iran a bigger future threat. Congress huffed and puffed about the deal but had no meaningful way to stop it. The critics of Corker's role in the deal say the deal should have been presented as either a treaty or a piece of legislation lifting the sanctions. That would have been nice if that would have happened but there was no way to compel that to happen and Obama was prepared to go it alone. For one thing, administrations have been negotiating deals with foreign countries since the founding of the Republic and not every deal is treated as a treaty. 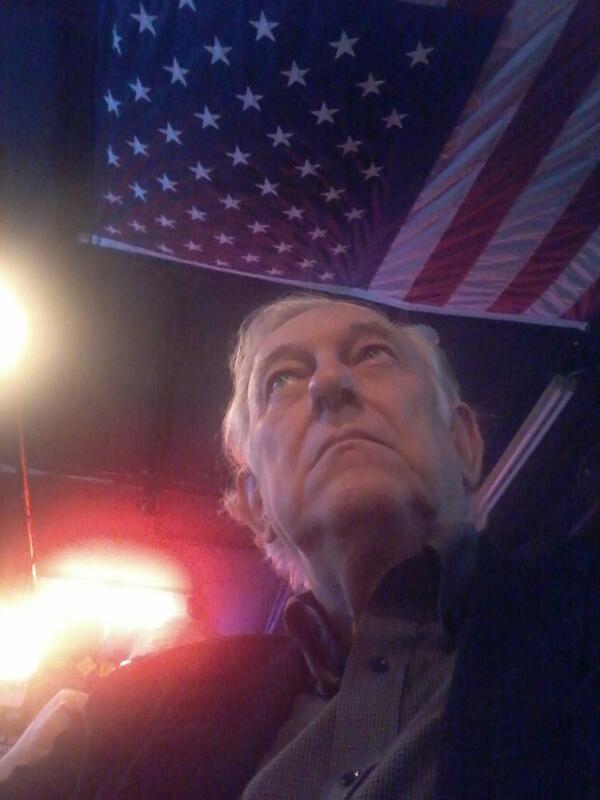 We routinely enter into Status of Forces Agreements with foreign governments and those are not treaties. There are lots of agreements that do not get presented to Congress to be considered a treaty. Perhaps Congress could have went to the Supreme Court in an attempt to compel the President to submit the deal to Congress as a treaty but it is doubtful the Court would have taken the case or ruled against the President if they had. If the Iran sanctions would have been imposed by Congress then they could have only been lifted by Congress, but such was not the case. Some of the sanctions were agreements entered into with allies and some were the result of UN resolutions. Only the Security Council could terminate the Security Council's sanctions on Iran, not the U. S. Congress. Congress had no voice in those. Some of the sanctions were by executive order and congress cannot stop the President from canceling an executive order. Some of the sanctions were a result of congressional actions but those gave the president waiver authority to suspend the sanctions. The Obama administration said Congress would have a role in the agreement but only after the deal was done and Congress would be asked to lift sanctions. By that time, it would be too late to exert much influence. The UN sanctions would be lifted, the executive orders cancelled, existing sanctions waived, and the pressure for Congress to rubber stamp the lifting of sanctions would have been great. When the bill approving the Iran deal came before the Congress, Bob Corker was a leader in urging its rejection. He denounced the deal in Congress, appeared on Sunday talk shows opposing the deal and wrote editorials in opposition. He said the deal would not prevent Iran from getting nuclear weapons. "Rather than end Iran’s nuclear enrichment program, over time this deal industrializes the program of the world’s leading state sponsor of terrorism," he said. "For a deal that must be built on verification and not trust, the inspections process is deeply flawed." He also questioned the wisdom of the rebalancing that would rely on Iran to help the US achieve its goals in Iraq, Syria and elsewhere. To read Senators Corkers criticism of the deal see the editorial that appeared in the Washington Post. In the end, the bill to disapprove the Iran nuclear deal failed. After a procedural vote to end debate , which required 60 votes Democrats successfully filibustered the measure and prevented the resolution of disapproval from coming to a vote. While Senator Corker's effort to stop the Iran deal failed, he worked hard to give Congress a voice in the matter and succeeded at that but was not successful in killing the deal. I don't think anyone else could have done a better job. In a recent editorial on possible nominations for secretary of state, National Review’s editors repeated the notion that by voting in favor of the Iran Nuclear Agreement Review Act of 2015 (INARA), Congress somehow “facilitated” the deal’s path through Congress. That notion is based on a fundamental misunderstanding of our Constitution and the relative powers of Congress and the president in foreign policy. And it’s important for conservatives to get this right. Many people think that Congress ought to have “forced” the president to submit the Iran deal as a treaty. In fact, Congress had no way to do that, because the president was misusing waiver authorities granted in prior sanctions and therefore didn’t need Congress to implement the deal at all. I have watched a lot of CSPAN and have seen Senator Corker in action in committee and have read things he has written and seen him on the Sunday talk shows. He is always prepared, has his facts in order, makes reasonable arguments, and is sensible and mannerly. He may not be the maddest and the loudest guy in the room, but I usually think he is the smartest and the wisest. I know it has become fashionable for movement conservatives to denounce Bob Corker but I am departing from the pack. I like Bob Corker. I think he would make a great Secretary of State.